Naturally formed caves under the earth. It is the longest cave which is of 3229 meters in length and in the world and occupies 2nd place in the world. Belum caves were discovered in the year 1984 by the British surveyor Robert Bruce Foote. Later a team from Germany lead by H Daniel Gebauer did research on these caves. In the year 1988, Andhra Pradesh State government declared this site as protected and started promoting tourism. 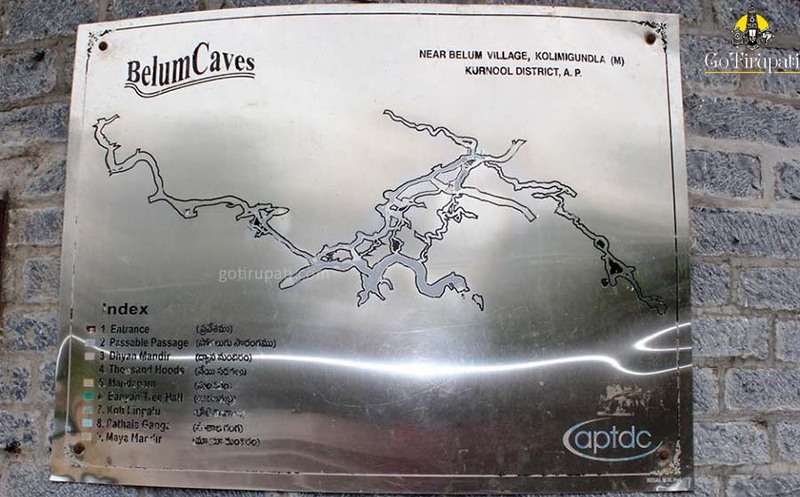 AP Archaeological department developed this site for tourism in the year 2000.From Feb 2002, Belum caves were opened for tourists with minimal fee entry. These naturally formed caves underground caves is 120 ft in depth and reaches 150 ft at Paathala Ganga point. Water from Paathala Ganga is pumped to the nearby Belum village which is 2 km away. In the year 1989, Archaeological department recovered the mud vessels used by the Jain saints from these caves. AP Archaeological department had explored 3.5 km out of 10 km and developed the path for the visitors. Archaeologists have identified another 140 caves surrounding these caves. Caves can be easily reached from Anantapur and Kurnool.